Yelahanka waited for five years for its dry waste processing centre to resurrect itself from bureaucratic apathy. Looks like it’s been well worth the wait. 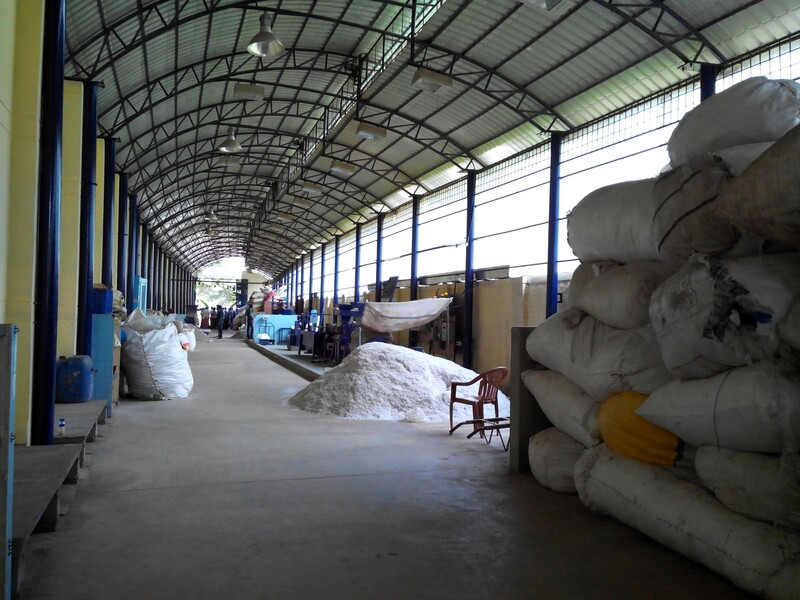 Swachha Eco Solutions, in collaboration with B.PAC and BBMP, kicked off the processing centre on September 25 where an array of machines sort, wash and turn both low-grade and high-grade plastic into raw material used for making various products. This well-ventilated structure was built more than five years ago on a long strip of land on Major Unnikrishnan Road. But it was lying unused until some committed activists decided to exploit the facility to the fullest and lighten Bangalore’s debt on Mandur people. N S Ramakanth of Solid Waste Management Round Table (SWMRT) and Revathy Ashok of B.PAC have played a vital role in this regard. This centre deals with two types of plastic: High-density polyethylene (HDPE) and low-density polyethylene (LDPE). Most of the LDPE items are less than 40 microns in thickness and have low tensile strength. HDPE plastic is used for making bubble-wrap, bags above 40 micron in thickness, containers for shampoo, disinfectants, etc. A dusting machine sorts out the waste with residual dirt and throws out relatively cleaner bags. An army 12 workers segregate it into various types. Both LDPE and HDPE plastic are shredded into fragments. An extruder machine then melts the LDPE plastic which comes out in molten form. This is cut into chunks and sent to Pune for making low-grade irrigation pipes used by agriculture industry. Another machine turns HDPE plastic into molten form which is further cooled and shredded into pellets ready to be used for making various high-grade plastic products including chairs and other consumer items. Victoria of Swachha said the centre aims at processing nearly 200 tonnes of plastic per day. It buys the waste at a price. All this while, we had an excuse: “We segregate the waste, but the pourakarmikas mix it”. But it’s not so anymore. Please give your clean dry plastic waste to the pourakarmikas and they will do the rest. If all individual houses, apartment complexes and commercial establishments do their bit, then entire North Bangalore will hopefully have no cows and buffaloes swallowing plastic and dying a painful death. Moreover, we will make Mandur a lot lighter. But first, let’s reduce our dependence on plastic. Whatever little we use, let’s ensure it reaches here. This entry was posted in Endlessly Green and tagged B.PAC, DWCC Yelahanka, HDPE, High-density polyethylene, LDPE, low-density polyethylene, N S Ramakanth, pourakarmikas, Revathy Ashok, Segregation at source, Swachha Eco Solutions, SWMRT. Bookmark the permalink.